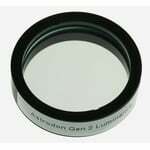 Astrodon Clear Gen2 Filter 1.25"
Astrodon Photometrics UVBRI V-Filter 1,25"
Astrodon Photometrics UVBRI UV-Filter 1,25"
Astrodon Photometrics UVBRI B-Filter 1,25"
The Astrodon company was founded in 2003 by Don S. Goldman. 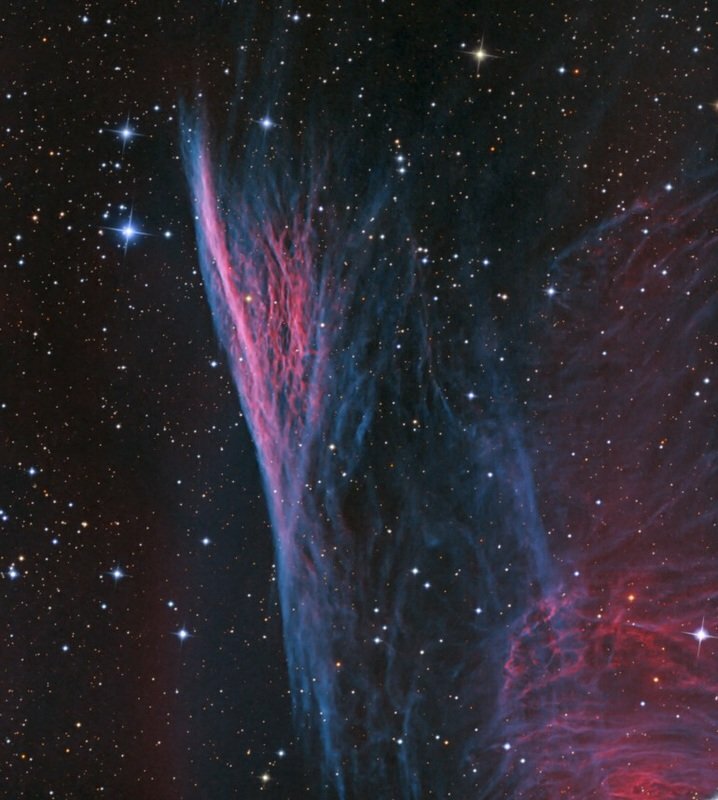 As an astrophotographer, he was interested in the, then emerging, CCD technology at a very early stage. A high-resolution monochromatic CCD camera can achieve spectacular colour images of nebulae and galaxies by combining images taken through red, green and blue filters. But Don was not happy with the quality of these filters, in particular, they were not colour balanced, so you could not easily combine the monochromatic images on a computer. This led him to developing his own RGB filters, which are optimized for astrophotography. 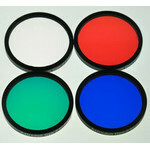 Don S. Goldman soon also extended the range he offered to include special narrowband filters. 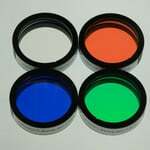 These filters were designed from the beginning to be the same thickness as the RGB filters, making refocusing unnecessary when changing filters. 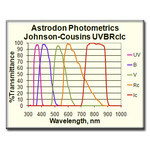 Astrodon has also developed UVBRI photometric filters for research, which are also particularly interesting for semi-professional amateurs. 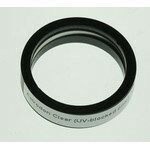 Filters from Astrodon are admittedly high-priced, but they also offer the highest quality imaginable. 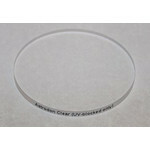 Astrodon is a trademark of Optical Structures Incorporated (OSI), USA.